Our team take the time to understand your individuality, each hairstyle is created to suit your needs, lifestyle and personality. Hi, I'm John. I am the founder of The Cutting Company, I established the business in 1981. I have loved every minute of building the salon into the success it is today. I am passionate about hairdressing and really enjoy making clients look and feel amazing! 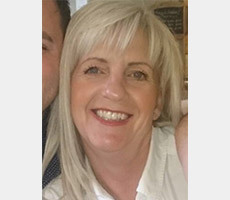 I'm Corinne, I have been a member of The Cutting Company Team for over 16 years, starting as a newly qualified stylist I have worked my way up to becoming a director of the company! I pride myself on giving 100% to my lovely clients old and new. I enjoy all aspects of colouring, cutting and styling and love the fact that in my job everyday is different. I always aim to have my clients leave the chair feeling amazing and looking fantastic. I enjoy all the training the salon offers and love keeping up to date with all the new looks, styles and colouring techniques. 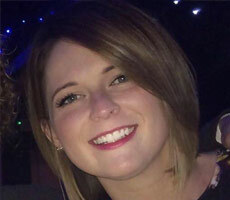 I'm Charlotte, I've been at The Cutting Company for over 5 years. I love cutting and giving each of my clients their own unique style. Making my clients feel confident and happy with their hair is what makes my job so enjoyable and rewarding. I'm constantly looking for new techniques and methods to keep my hairdressing modern and creative to give my clients the best service possible. Please feel free to pop in for a consultation anytime to see what style I can create for you! Hi, I'm Emma. I'm a Colourist at The Cutting Company, specialising in all aspects of colour but my forte is in Highlights. I have been here since 2001 and love what I do! 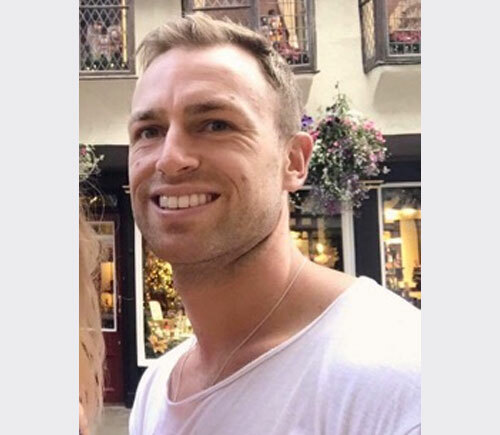 Hi I am Nate, I am a dynamic hairdresser with an extensive knowledge of colour and it's application. 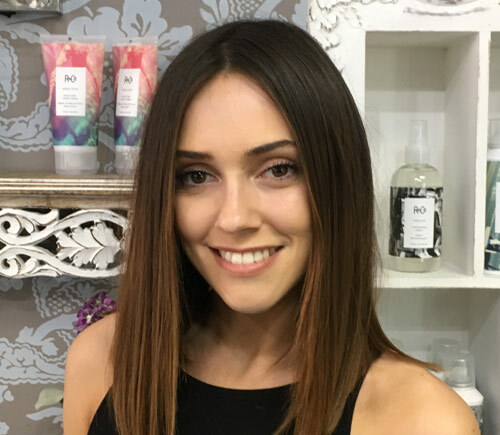 I have advanced and complex cutting skills, over 10 years experience in the industry and have worked internationally at a leading salon in Australia. I have come across a large variety of diverse hair and never shy from what some may find to be a challenge. 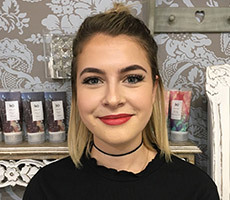 Working at The Cutting Company has given me many opportunities and provided me with continual learning and skills development so I can offer my clients the latest in hair trends. 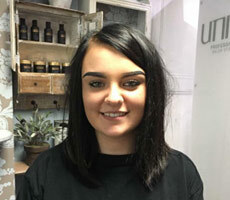 I'm Nicole, I've been in the hairdressing industry and Level 3 qualified for 7 years. I love creating new and on trend styles with the latest techniques. I specialise in Balayage whether it be a high contrast edgy colour or a natural sun kissed look. I find hairdressing to be one of the most rewarding jobs, each day you face new and exciting challenges. I love helping my clients to look and feel amazing when they leave the salon. Hi, I'm Petra. I have been hairdressing for 32 years and worked at The Cutting Company for 30 years! I love making my clients look and feel good about themselves, I really enjoy all aspects of hairdressing, especially the client interaction. Hi, I'm Scott. 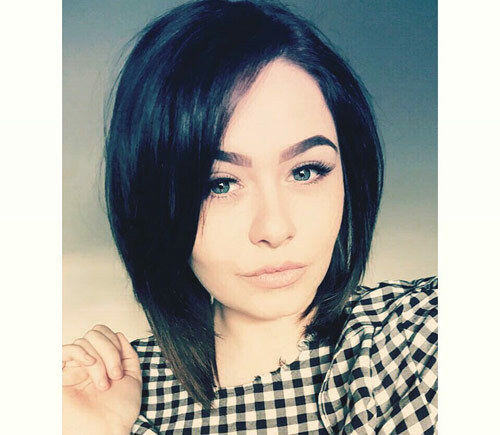 I have been a hairdresser for over 10 years, I started at The Cutting Company as an Apprentice! I then joined Hob Salons in London where I furthered my education learning new cutting and colouring skills and techniques. I have, since then, worked in some very exclusive salons all over the world. I manage my time effectively and always deliver the highest of standards. 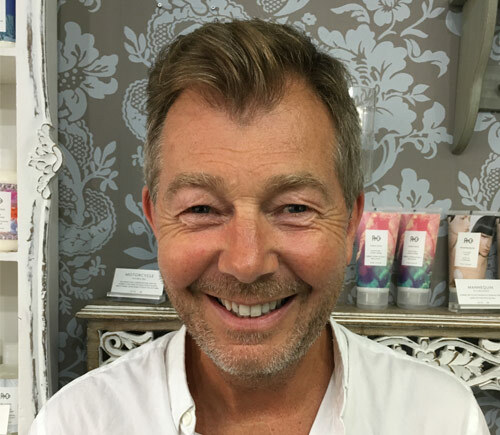 My strengths are my Wella colour techniques, exceptional cutting and men's barbering. I look forward to seeing you in the salon! 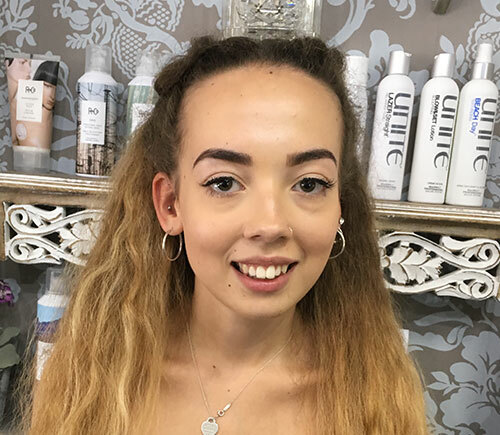 I'm Jess, I have completed Level 3 hairdressing and I absolutely love what I do! I couldn't imagine doing anything else! I love creating new styles for clients, whether it is cutting, colouring or both. Colouring is my strongest point as there are many different ideas coming in as the seasons change. Making clients happy builds my confidence, and helps me to deliver the outcome they are looking for. I also really enjoy doing hair ups, as it's so creative and tests what I can do as well! Hey, I'm Lottie. I have recently achieved my NVQ in Level 3 Hairdressing. 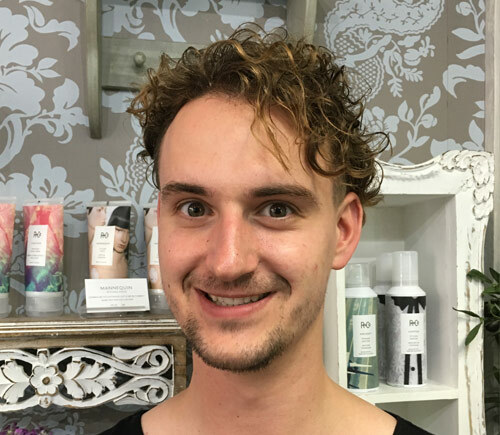 Although I have finished my college training, I am always keen to learn more and expand my skills further whether it's from in salon training, online videos or live shows. I enjoy all areas of hairdressing but my favourite is colour and how it allows you to be creative with many different techniques. 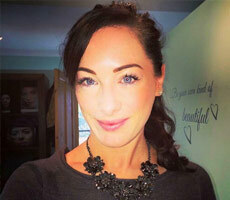 I'm Ellie, I have over 15 years experience in the beauty industry. I offer a wide range of different treatments from the beauty necessities to the more indulgent relaxing treatments. I am also qualified in semi permanent brow makeup which lasts up to 5 years. I use high quality product brands including CND Shellac, LVL enhance, Lash FX and Li Pigments. 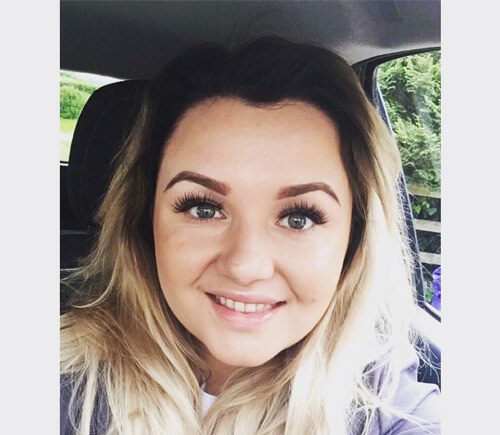 I am a true perfectionist in my work providing the best results possible for my clients, I am passionate about everything I do and thrive on making my clients look and feel amazing everyday! 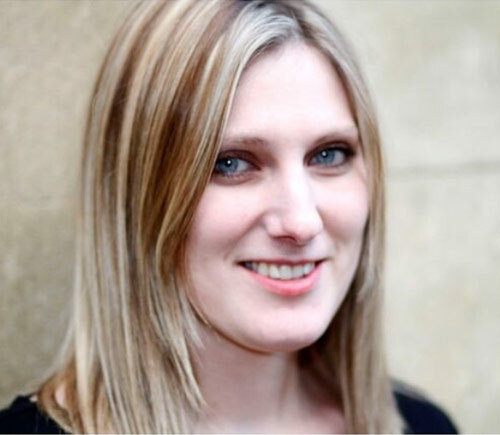 I'm Holly, I strive to provide all my clients with a truly unique and relaxing experience. Putting together my treatment menu using premium brands, my attention to detail and client care let my passion for the industry shine. Massage (including Maternity Massage and a Purifying Back Treatment), Facials, Eyelash extensions, Waxing (including specialist waxing), Nail Care, Tanning, Hopi Ear Candles and Ear Piercing. Hi, I'm Cara. I offer a wide range of tattoo styles but specialise in realism/portraiture and create original designs and artwork for all my clients. Hi, I'm Caitlyn. I'm a Level 2 graduate hairdresser and now working towards Level 3. I love my job and being able to make every person that sits in the chair feel fabulous from the moment they walk into the salon until the moment they leave! I am passionate about colouring and would love to transform your hair. Hi, I'm Kiah. 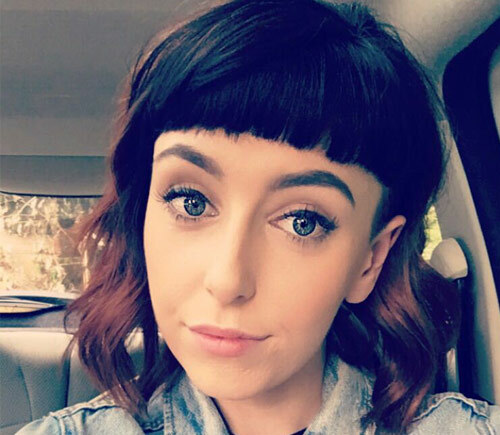 I am a Level 2 graduate hairdresser working towards Level 3. I am a passionate hairdresser and love trying out new styles! I am lucky enough to have regular training in the salon as well as outside with some amazing hairdressers. I have had a skill with braiding since I was very young and love all things braided including hair ups and prom hair. I love curling, colouring and clippering. With a growing portfolio of some gorgeous transformations, I hope to have the opportunity to meet all of your hairdressing needs.